A juicy tidbit from the Chicago Architecture Biennial. 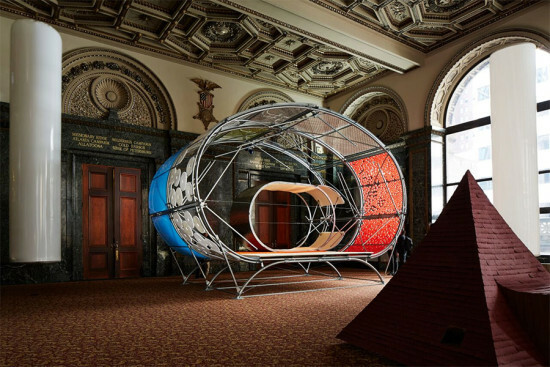 The number of projects in the Chicago Cultural Center right now is a bit dizzying, but we can only imagine what the place was like during the installation. It is a small miracle that it all fit, let alone got assembled correctly. The process was not without snafus. Multiple sources reported to AN that in the final hours before the preview opening on October 1, the large circular construction by Spanish architects SelgasCano (of Serpentine fame) and helloeverything actually collapsed. Fortunately, it was sturdily put back together for the opening. The team recovered with an elegant tension cable design that worked quite well, and is to be commended under such a last-minute timeframe. It looks like design history is in the air here in Chicago. The Chicago Design Museum is in the middle of a Kickstarter campaign to launch an exhibition looking back at 100 years of graphic arts. Chicagoisms just opened at The Art Institute—a meditation on Chicago’s architectural history and mythology that builds off a previous exhibition of unbuilt work reviewed here. Now another exhibit glances at Chicago's design history to better assess its present and future. Chicago’s design history will be on the menu at a new exhibition, CHGO DSGN: Recent Object and Graphic Design, which opens at the Chicago Cultural Center on May 30, from 6:00–10:00p.m. The exhibition runs through November 2, 2014. 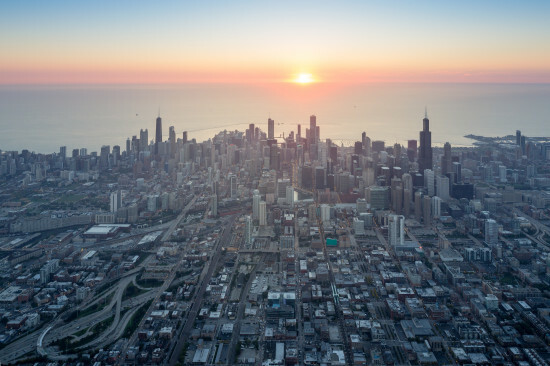 “Chicago has long been regarded as an international center for design, and this retrospective celebrates the region’s creative and innovative spirit,” reads a press release for the show. Curator Rick Valicenti, who won Cooper Hewitt’s 2011 National Design Award for Communications Design, and display designer Tim Parsons said in a statement that they want to celebrate Chicago’s design history, from early print developments through international modernism, and probe its future with more than 200 works that range from functional objects to theoretical proposals. Among the pieces on display will be Ania Jaworska's 8-foot-tall architectural model, Monument for Them, and an 80-foot print by Chicago photographer Sandro that includes 115 of the exhibitors—an homage to Richard Avedon's famous portrait of the Chicago Seven.